Yves Parlier was born on 14 November 1960. He is married with two children and he lives in Arcachon. He is an engineer in composite materials and it was his passion for sailing that led him to take up this career. 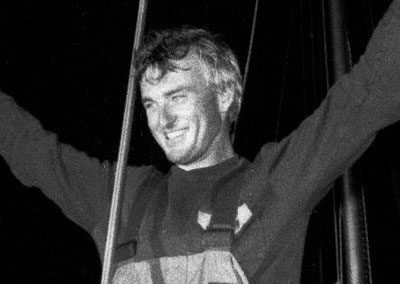 In 1985 at the age of 24 he won the Mini-Transat on his own boat, then in 1991 he won the Figaro Solitaire (single handed). 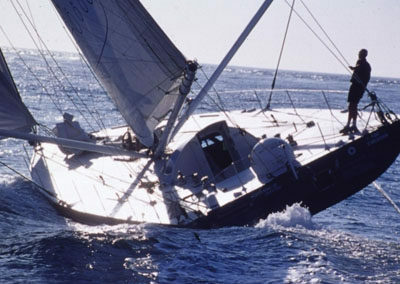 In 1992 when he took part in the Vendée Globe for the first time he came in fourth after having LOST HIS MAST. The same year he won the English Transat in the monohull class. The victories kept coming. In 1993 he won the Route du Café and in 1994 the Route du Rhum. 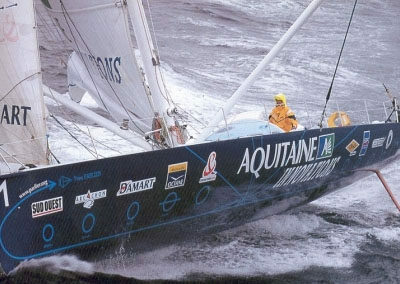 He finished first with Eric Tabarly in 1997 in the Transat Jacques Vabre in record-breaking time for that race. Then he won the Route de l’Or with his team in 1998 and the Course de l’Europe in 1999. Yves is passionate about extreme sports and mountain sports and also does paragliding. In 1998 while he was trying out a new sail he had an accident and fell 200 metres fracturing his tibia, his fibula and his hip and affecting his sciatic nerve. But, true to his beliefs, Yves did not give up. He regained his strength aided and supported by loyal team members. His new goal was once more to take part in the Vendée Globe, the marine equivalent of Everest. On 5 November 2000 he was on the starting line in Sables d’Olonne. 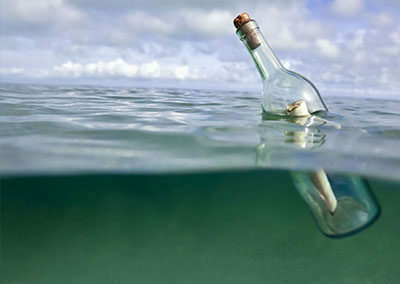 Yves was not seeking just to win this race for he wants to live his dream and to do his sailor’s duty. 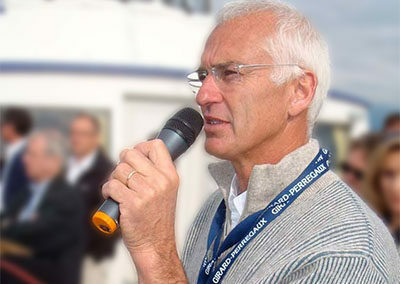 “Only victory is beautiful…” said Michel Malinovsky, skipper of the first Route du Rhum. 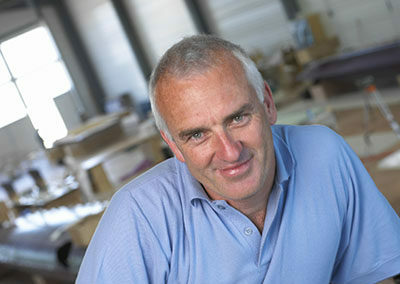 Yves Parlier prefers the philosophy of Bernard Moitessier for whom “the adventure alone is. beautiful”. And the adventure was something of a miracle. After three weeks leading the race he lost his mast off Kerguelen. There was no question of giving up. Aquitaine Innovations and her skipper were made welcome in the bay of Stewart Island for two weeks of repairs. . Once the mast was mended Yves Parlier set off again, determined to finish the course. On 16 March 2001 after a race that lasted 26 days, 23 hours and 16 minutes Yves crossed the finishing line, 13th in the final roll call but a victory for himself personally and in the eyes of the French. 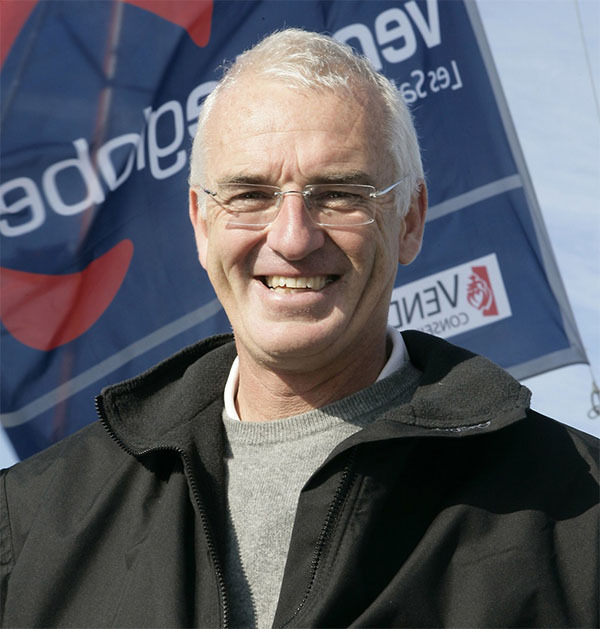 Yves Parlier is in the same mould as Eric Tabarly, a visionary skipper who plays an active role in the development of top level sailing. He is behind many new and effective solutions in fields as varied as naval architecture, the use of composite materials or the perfecting of systems to aid navigation. The speed with which technology has been transferred towards other projects is proof of the pertinence of these decisions and his spirit of innovation. In 2000, after ten years of competitive sailing in monohulls Yves Parlier has taken up new adventures by returning to his first love : multihulls. With his team he has developed hydraplaneurs, a new concept in boats which are an adaptation of monohulls using the principle of the stepped hull used in flying boats. 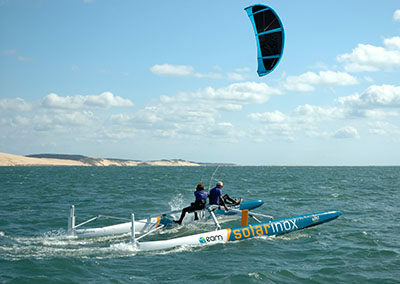 The first 60 foot hydraplaneur catamaran, Médiatis Région Aquitaine, was built at the Larros boatyard on the Arcachon Basin , and it has taken part in the major transatlantic races. 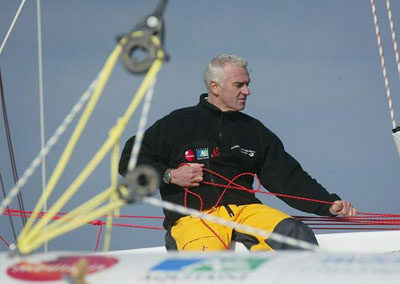 In 2006 Yves Parlier was at the helm and won the 24 hour distance record, first with his team and then solo. 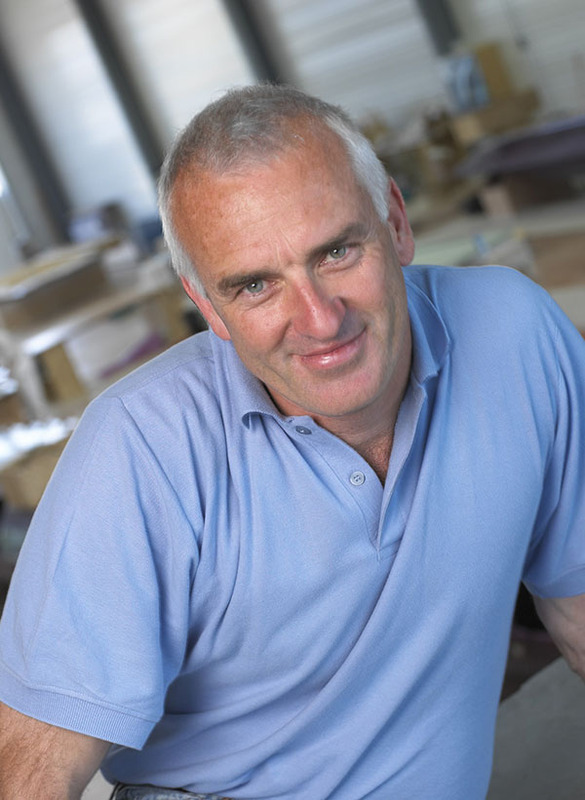 It was a natural development for Yves Parlier to turn his attention to a project on traction by 100% natural energy using wind and solar power. Innovate with solutions that respect the natural environment – this is the vision that Yves Parlier wants to share. He is an innovator, he loves work that is done well and he is an example of rigorousness and strong will. Throughout his long career Yves Parlier has shown by his actions, his personality and his resources that science, industry, technology and innovation can be used in harmony with dreams, liberty , nature and respect for man and for the environment.